Moving help is an essential service for any relocation. Hire our moving helpers to pack, load, or unload whatever you need. Moving help is the service you’re looking for if you already have a moving rental truck or container and just need some movers to help you out. Examples of moving rental trucks would be UHaul, Budget, Penske, or ABF Trailers. Moving containers are self moving services such as ABF ReloCube, PODS, Pack-Rat, UHaul U-Box, Mobile Mini Storage, Door to Door, Smart Box, U-Pack, etc. Our moving labor crews come with movers and equipment. Your loading and unloading services will be completed professionally and efficiently. Moving labor services are also great for internal rearranges. Have your furniture professionally moved into other rooms of the house to remodel or change the home. We offer a wide variety of Denver moving labor services from loading and packing, to unloading, rearranging and more. Call today to find out more information about our moving labor services or schedule a free moving estimate. All quotes and estimates are free of charge, our moving company wants to offer the best service possible and that starts with a clear and direct quote or on site estimate. We will do our very best based off the information given to us by clients. 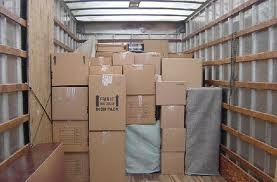 Loading a moving rental truck or moving container is similar to a game of Tetris. Your possessions represent the blocks. Those blocks are incredibly important when they’re the items you live or work with. Our local movers and moving helpers are very familiar with how to load, easing and expediting the process of loading your truck or container in a systematically safe and secure manner. When requesting moving labor or moving help services, one should know in advance that the client is expected to provide the materials. Moving supplies needed to protect your items such as moving pads and blankets, tie downs such as rope or ratcheting straps and other materials that will accompany the goods to their destination. Ask one of our moving professionals to help assess the quantity and types of moving supplies you may require and the best or most cost efficient way to go about obtaining them. The unloading of rental trucks and moving containers can be fast and easy with the right moving labor crew. Our movers are fast and efficient at unloading. When you’re looking to hire a Denver moving company to unload your rental truck or moving container or be sure to pay attention to the items as they exit the truck/container and enter the home. This is how you can find out if any damages have occurred during loading or transit. Experienced movers such as ours, will be sure to keep you informed along the way. Noting any damages and how it may have happened. More often than not, it’s the driving experience and poor protection of items that causes much of the move related damages. Read more about our company by searching online or read some of our Denver moving company reviews on our website. There is no insurance provided for moving labor orders. Unless the damage occurs while the movers are handling the goods on the move. The truck rental and freight carriers offer insurance. Home owners, and renters insurance covers moving. There is also special insurance offered online for this purpose. You can count on us to do the job we were hired to do professionally and efficiently with your best interests in mind. Due to the factors of provided supplies, distance and areas traveled, care of the driver, type of transportation, etc. Please understand this. Thank you for the Opportunity to earn your business. We hope you appreciate our candid nature and the fact that we’ll be honest with you up front. As well as do the job correctly the first time. Best of luck moving! Moving Help and Moving Labor for Denver Colorado residents and businesses to load and unload rental trucks or rearrange furniture within the home or office as an internal move. Thank you for all your hard work, I know the move out wasn't easy! Very nice crew. Thank you! You guys were awesome with my move! Thank you!! These guys are worth every penny! They did a great job in an impossible situation! These gentlemen were great! As a single woman moving herself these guys were amiable & efficient. I really appreciate the fine job they did. Had to give these guys a review in appreciation for how stellar their service was. From beginning to end, everything was flawless. No hiccups or bumps on the road. Just what I needed during a stressful time. They sent a team of movers that worked fast and made our move look easy. Try them. Thanks for the Help Moving! Just wanted to say thanks for the help. My recent moving experience was great and I would recommend your helpers to anyone for packing or loading. Our crew of movers was fantastic! They helped us load and unload our rental truck and we couldn't have asked for better moving help. They were sure to protect all of our furniture so we didn't have to worry about damage. We'll call again when it's time. Meanwhile, we'll recommend you to all our family and friends. These guys unloaded our ABF truck, and did a great job. Their movers were fast but efficient. No damage happened to our new home or our furniture and we are very happy. A+ moving company. Altitude movers did a great job loading our POD for a long distance move. Their movers were polite and efficient. We would recommend them to anyone!